Patchy Work of Mini Grey: Summer Sewing! I feel like I have Christmas under control, so today I turned my attention to the sewing machine. 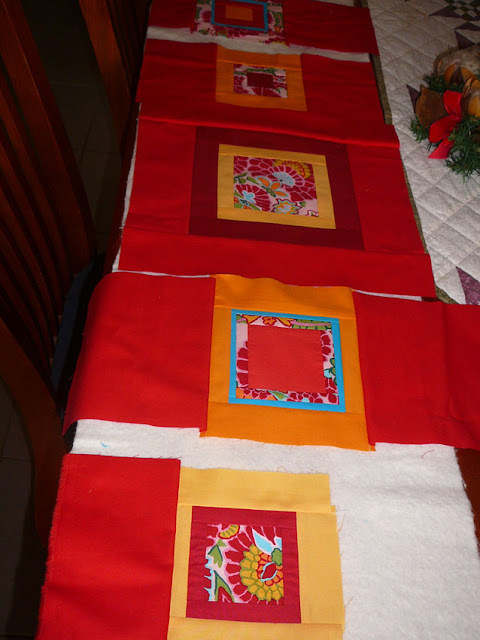 I wanted to sew a table runner, I know, typical Helen, sewed a billion table runners this year, but I like sewing something little and giving it as a gift. I have a few birthdays in February so thought I'd get in early. 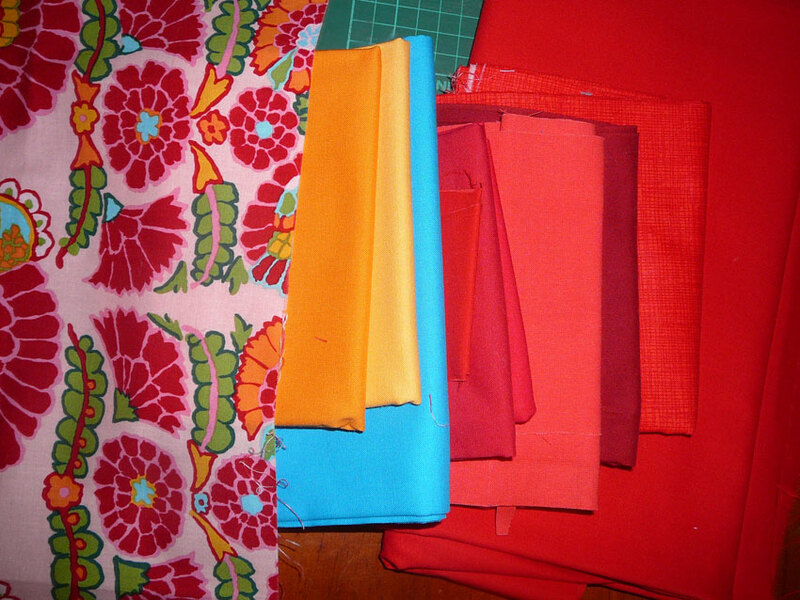 So I pulled some fabric from the stash with the floral fabric from Kaffe being my feature fabric. I wanted to go the square in a square, wing it as you go technique like I did for this runner and this one. I had a piece of wadding left over from another project so I was sewing to fit that. Five squares seemed to fill the space nicely. Then the day unfolded with everyone in the house happily doing there own thing and leaving me to my sewing. I got it quilted and the binding on, all ready to hand sew down tomorrow night. Interestingly enough my walking foot was not smooth, the stitches were inregular and it ws glinding through. I took it off and put on a normal foot, increased my stitch length up to one notch below max, and perfect lines were the result. I so need a new machine though! 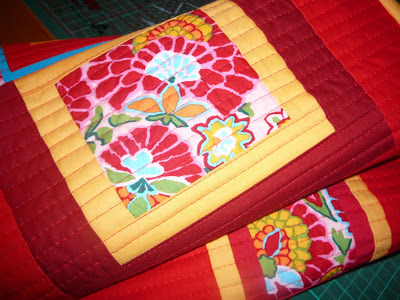 Love your table runner and the way you quilted it. Quilting with My New Spool Holder!